Contact me ASAP... I have questions! for the Public Speakers Association! A positive person wanting to see others succeed? YES!!! Being positive and super nice to organizers of speaking opportunities, my colleagues, and my clients are one of my core values. It is more important to me to be professional and get my message across than being liked. Are you Perfect or Imperfect? Do you expect others to be as well? YES... Being authentic and real for myself and for those I do business with is important to me. I understand we are all human and it makes us easier to relate to. Perfect is extremely important to me. Everything must be professional and correct. I'm an Emerging Speaker and Can't wait to "Change the World from the Front of the Room!"tm! I've been speaking for some time and wanting to find more speaking opportunities! I’m looking for Speaking Opportunities! I'm looking for local or internet based speaking opportunities. I'm looking for National and International Speaking Opportunities to change lives in a Huge Way! Finding new clients and building my data base in my email list and social media connections! 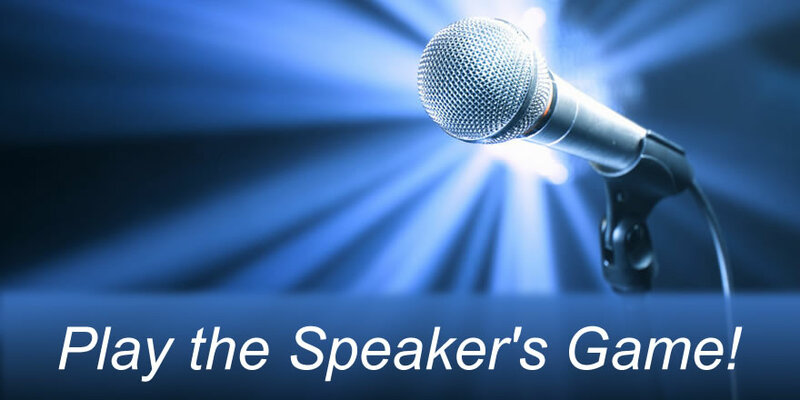 Lots and lots of training on how to be a speaker, do the business of speaking and really... I just love learning from people actually successful at being a speaker in today's ever changing market!